Move over apps, it looks like its hardware’s time to shine again – and two Canadian startups in this space are of the ones to watch. Mattermark, a startup analysis firm, released a ranking yesterday of the “10 Hardware Startups on the Rise” with Vancouver’s Recon Instruments and KW’s Thalmic Labs making the list. Recon came in 3rd on the list and was highlighted for its recent success in selling out of their sports smart glasses called the Recon Jet. They have raised $10M in Series A investment back in early 2012 from Vanedge Capital and Kopin Corporation. Thalmic Labs, creators of the gesture-control armband MYO, have raised $14.5M in Series A investment in June from Spark Capital and Intel Capital. MYO reached over $4 million in pre-order sales in the first 4-weeks of going live. The growth of their team recently caused them to move out of the VeloCity garage and into their own space in Kitchener. 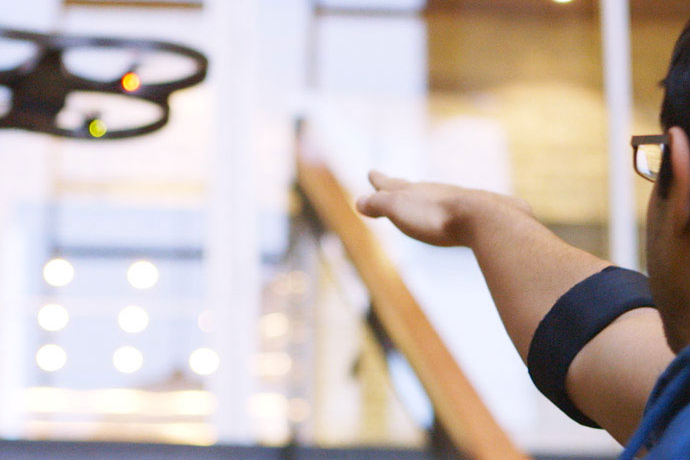 Thalmic Labs and Recon Instruments are both expected to ship their wearable devices later this year, or early 2014. Crowdfunding sites like Indiegogo and Kickstarter have definitely helped the popularity of hardware companies. Hardware campaigns continue to make headlines and break records. Scanadu Scout, number five on Mattermark’s list, recently became Indiegogo’s most funded project with the medical tricorder raising just over $1.6 million. Canada’s Kickstarter-darling, the Pebble, made waves back in 2012 when it raised over $10 million dollars to bring its smartwatch to the market. Many other Canadian hardware startups not on the list have seen tremendous success with crowdfunding. Muse, the brain-sensing headband that let’s you control things with you mind, raised nearly double their Indiegogo campaign goal. While 3D Scanner, Matterform, and Tile competitor, Wimoto, raised five to six times the funding goals they set for their campaigns on the same site. The successes of hardware can also be linked to the rise of mobile and cloud computing and emerging technologies like wearable technology and the internet of things – all of which are infiltrating the masses at a quicker adoption rate than previous technologies. Mattermark tracks dozen of signals for each of the 160,000+ startups in their database including social media, news coverage, corporate filings, AngelList, Crunchbase and other proprietary Startup Indexes to help them create their own score. We’ve provided the list of all ten companies which made Mattermark’s list below. Head on over to their blog for full details on scores and some trending analysis.